This is a collage where I utilized old ink figure drawings from a class I took in college. I cut these drawings up to become the background. 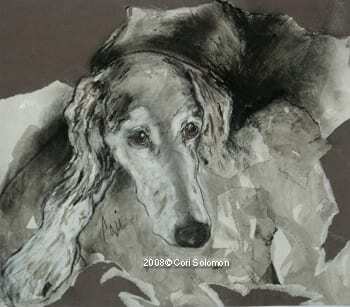 The Grizzle Saluki is drawn in Pastels.